Arcade Cabinet Bulk Sale On Now! Arcade Games Sales currently has two special Bulk Offer Sales on now! You will save literally thousands of dollars with these bulk offers! 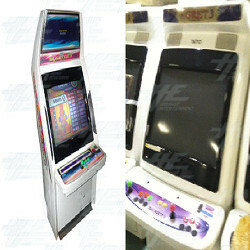 If you would like to view the bulk offer for the Taito Egret package, just follow this link. If you would like to view the bulk offer for the Sega Blast City package, just follow this link.